We are excited to announce the Memorandum of Understanding signing ceremony renewal with Cathay United Bank held at our Strand Square Office today. 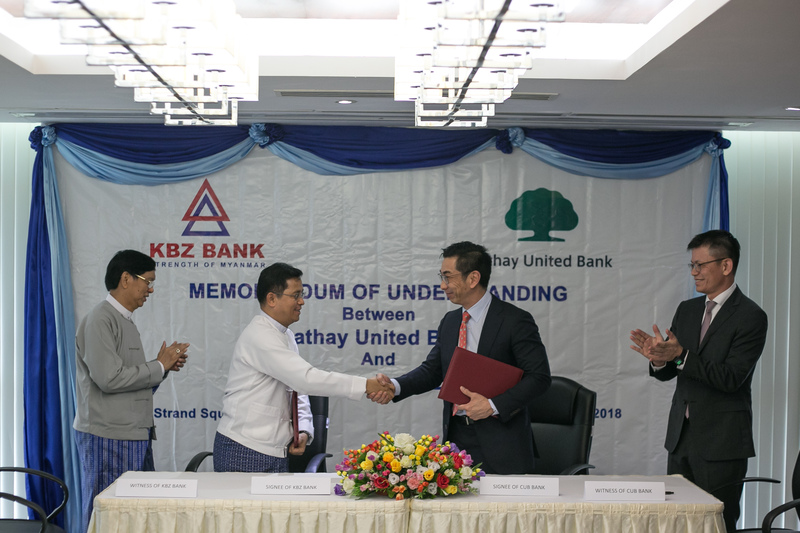 ( U Aung Kyaw Myo – DY CEO 1 ) from KBZ Bank & ( Mr. Quek Kiok Han – Executive Vice President ) from Cathy United Bank attended to sign the agreement between the two parties. KBZ had the honor of committing the first MOU with Taiwan’s Cathay United Bank back in July 2015. Since then the relationship between our two banks has been fruitful and healthy with great cooperation and support towards each other. This MOU renewal will ensure that our two banks will continue working together more closely towards our common goal to promote the strategic cooperation to explore business opportunities in Asia to serve fast growing Taiwan-Myanmar trade and investment companies.